"Travel while you’re young and able"
Sounds great, but where should you go? For starters, a destination you can afford to experience, somewhere that won't leave you broke! It’s also equally important to choose a location your older self will thank you for many years to come. Here are 16 trips, that will surely turn your 20s into years filled with no regrets and irreplaceable memories... these are the ones for your books! PRO TIP: Book your flights through Sky Scanner to save serious cash when you fly! Spend a year abroad on a working holiday visa in Australia, why? Because you can, so, why the hell not!? Over thousands of backpackers are flocking to the never ending white sandy beaches of Australia every year. Working and traveling along Australia’s east coast is an action-packed adventure every 20-something-year-old should without a doubt commit to doing. To learn more about how you can spend a year in Australia view my post here. No trip in your 20s can be substituted for the memories you will create on an EPIC EURO-TRIP, spending a summer checking off countries as quickly as you can enjoy them. Say hello to hot-air balloon rides in Turkey and breathtaking sunsets in Montenegro! When in Thailand you can’t miss the opportunity to join thousands of travellers in a once a month event called the Full Moon Party. Cover yourself in neon colors and rave until the sun rises on the turquoise beach of the beautiful Koh Pha Ngan Island. It’s a night you'll be bragging about to university students when you're older! The best way to see Croatia is by sail boat, and The Yacht Week is THE way to do it proper. You'll be popping bottles of champagne, making new friends and living life at sea in the most picturesque parts of Croatia. How is that even a question? The largest electronic music festival in the world is held over 3-days in Bloom, Belgium. The largest electronic music festival in the world is held over 3-days in Bloom, Belgium. Top DJ’s in the world perform in the Mystical fairyland stages setup Tomorrowland. Lose yourself to the melody, because this is a dreamer’s playground. Round up your squad and head to the city that never sleeps! Party with celeb's at iconic pool parties in the day, and keep it going till the wee hours of the morning… Don't worry because what happens in Vegas stays in Vegas, I hope! Small dots of paradise, that are crawling with young travellers every summer. Small dots of paradise, crawling with young travellers every summer. Island hoping Greece's best kept treasures is a MUST in your 20s. Greece is affordable and quite honestly, just as wander-lusty as you've ever imagined it to be. 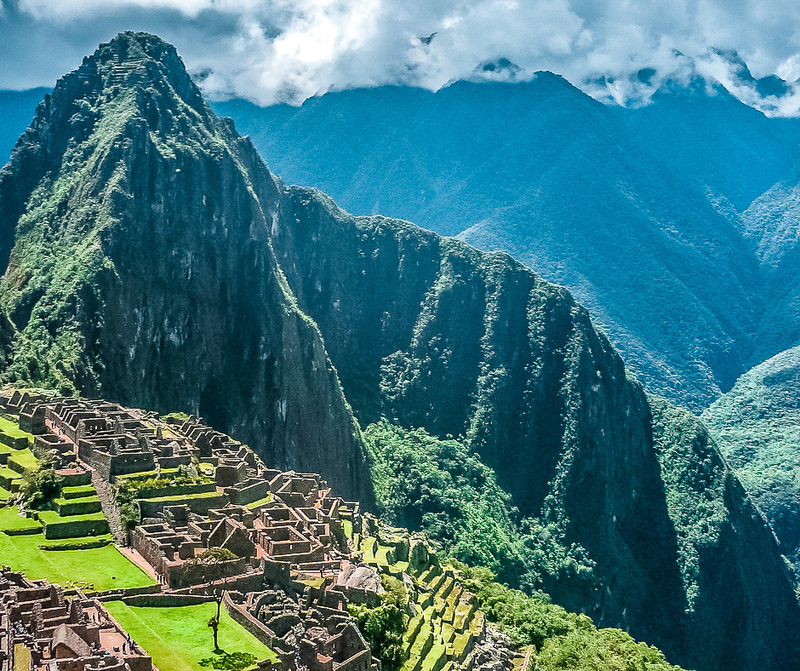 The Inca trail at Machu Pichu is one of the best-known hikes in the world. The Inca trail at Machu Pichu, one of the best-known hikes in the world. A challenging one, yes, but to anyone who’s ever done it would agree... those ancient city views from the top are undeniably worth it. Bold landscapes just waiting to be explored! Morocco is where you can create your ideal fantasy of riding a camel through the desert, UM YES, who else wants that pic for their gram?! If Morocco isn't on your travel radar, google Discover Marrakesh, and it will be. Located on the island of Oahu in Hawaii. The Haiku Stairs aka Stairway to Heaven were originally built by the U.S Coastal Guard to see incoming ships from sea. Currently a forbidden trail with over 3,922 steps at high incline, this is for the ultimate risk taker's. This adventure offers unreal view of the island, but the greatest award is feeling that comes with being a total dare devil. If you are to do any of these trips, this is the one I recommend you commit to most. If you are to do any of these trips, this is the one I recommend you commit to most. Taking an adventure on your own will teach you about yourself in months, which any other way could take years! This is a journey that will undeniably change your life, for the better. I can promise you that! Rent a motorbike and ride from North to south Vietnam or vice versa, would you dare?! This is the most popular route amongst young backpackers traveling through Vietnam. Pack light and enjoy Vietnam for it's rich in cuisine, scenery and culture that your wallet can definitely afford. Known for its forested volcanic mountains, luscious green jungles, and perfectly designed rice patties. No matter what you believe in, there is a closeness to the universe that you feel when you are in Bali. Bali will remind you that human connection is the vital key to happiness in life. I found every budget traveller's paradise and its location: Tulum. A blissful small town on the Caribbean coastline of Mexico… without the overwhelming prices and crowds of larger destinations like Cancun and Playa del carmen. Tulum offers the PERFECT sweet escape experience for every traveller wanting to experience a paradise that can be afforded. To learn more about traveling Tulum click here. New Zealand could quite possibly be Mother Nature’s most magnificent gift, and Queenstown would be the star of the show. The home of the largest bungee jump in the world, Queenstown is where you can tick off a handful of bucket-list experiences by mid-afternoon. Bungee jumping, sky diving, jet boating, white water rafting, and luging down the mountain side. That's just to name a few. If you like to keep your heart rate up and adrenaline flowing, New Zealand is waiting for you! 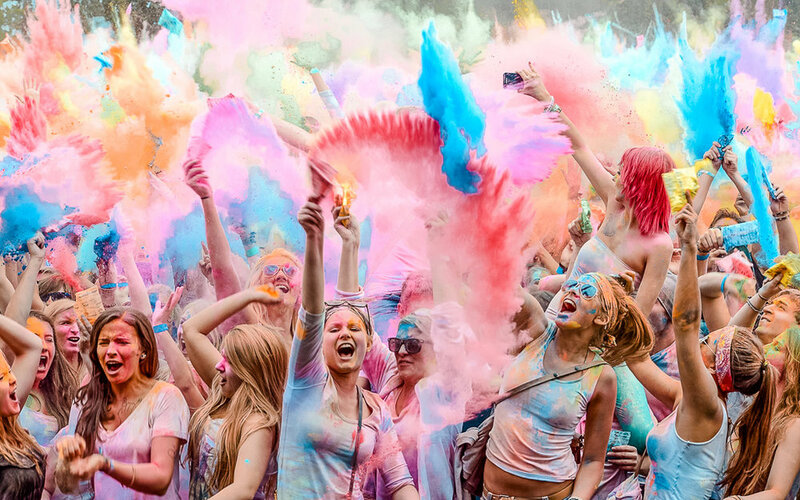 The “festival of colours” is India’s most recognized celebration. Spend the day covered in bright powders, throwing coloured water at your neighbours, and participate in rain dances in the streets. Getting wet and dirty is all part of the fun, would you join me? If you've been following my travels then I'm sure you've heard, I'm heading to Vietnam next! I also cannot wait to travel through New Zealand in a Camper Van. Okay now I need to know, what trip resonates with you most? Which trip would be your pick tell me in the comments below!